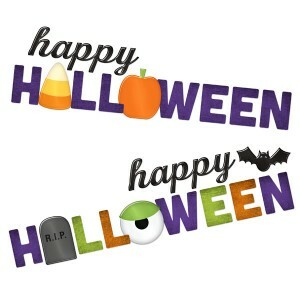 This Halloween scrapbooking download comes with two spooky Halloween page titles. The letters are detailed to look like paper and gel stickers. You get both the pumpkin and candy corn and the headstone and spooky eyeball embellishments. 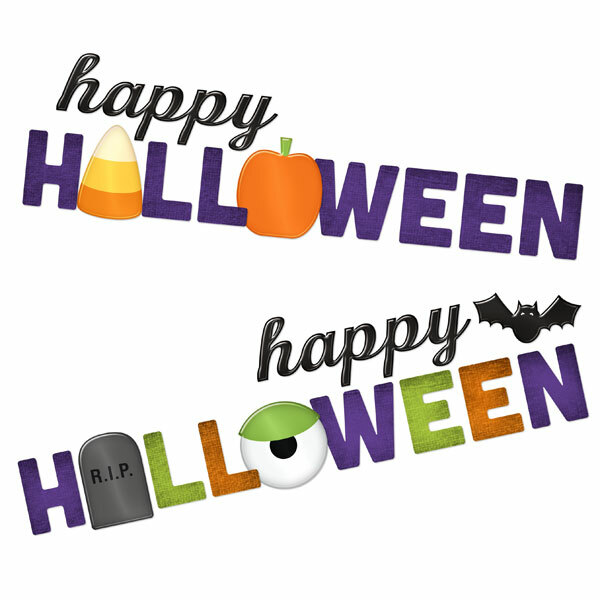 Print these page titles as stickers or use them for digital scrapbooking.